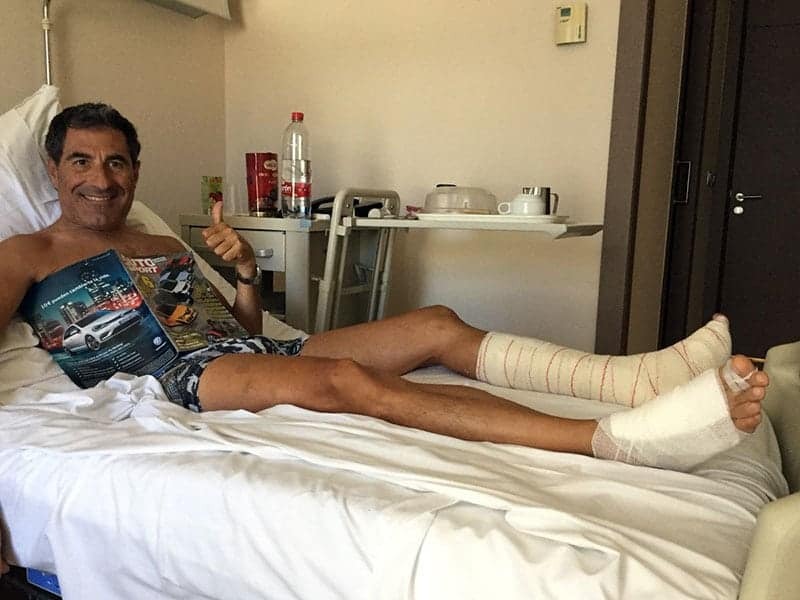 Five times Spanish national asphalt rally champion and current series leader, Miguel Fuster (pictured above), has been hospitalised after a bizarre accident while on holiday in his home town Benidorm . He was standing beside his motorcycle, beside the road, when it was impacted by a runaway car, causing him multiple injuries. There are six weeks before his next championship rally (Asturias), but he joked that his immediate priority was to be able to walk, and then climb into his personal private plane! Fabia R5 driver, Alexandre Camacho, won the TER series Rali Vinha Madeira, beating Citroen DS3 R5 driver Miguel Nunes and the Citroen C3 R5 of Jose Pedro Fontes. TER series leader, Giandomenico Basso, was an early retirement in his Hyundai i20 R5, reportedly with transmission trouble. The highest placed regular TER competitor was the Belgian, Joachim Wagemans, who finished ninth in a Peugeot 208T16 R5. Also looking sad is JWRC driver, Terry Folb, after an undisclosed misfortune. Folb is the protégé of Sebastien Loeb, who 12 years ago missed WRC events after he fell off his mountain bike. There are major concerns currently in M-Sport to understand why their cars were suddenly so uncompetitive in Finland. Sebastien Ogier was the only Ford driver to score a fastest time – which was a completely unrepresentative asphalt based super special, Teemu Suninen’s best results were two third places, while Elfyn Evans scored no top four times. The team has confirmed this situation was not expected. They say that they cannot put the problem down to the changes on Ogier’s car (aero and dampers), as the problems also affected the other team cars, which did not feature these changes. 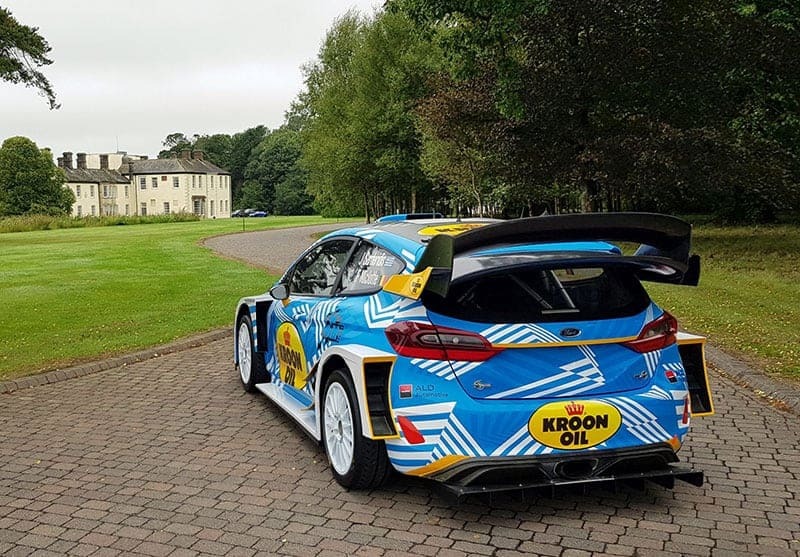 54 year old reigning WRC privateer champion, Greek born Jourdan Serderidis, plans two entries this year in the WRC, starting with Rallye Deutschland when he drives a 2017 version Fiesta World Rally Car run by M-Sport. He is Belgium-based where he is proprietor of J-Motorsport. The entry will be supported by the Dutch company Kroon-Oil. 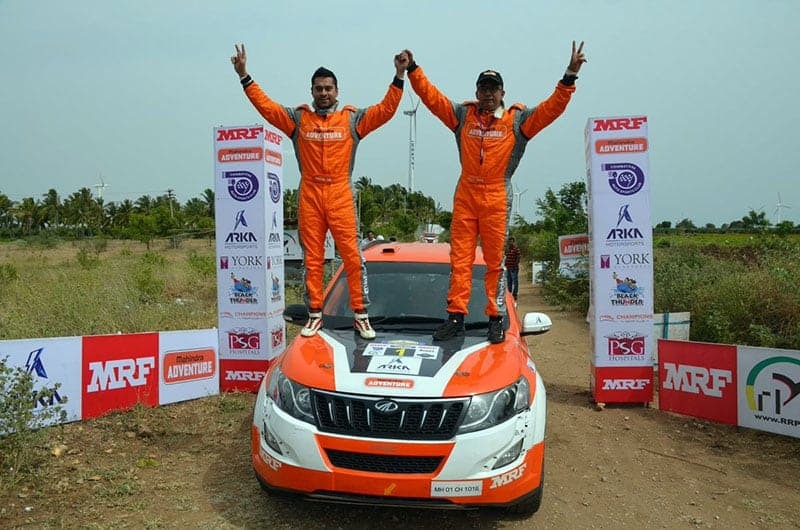 Back in India after the Neste Rally Finland, MRF driver, Gaurav Gill, won the Coimbatore Rally, second round of the 2018/19 Indian championship, in his usual Mahindra XUV 500. The last major rally in Turkey before the WRC arrives next month, was the Yesil Bursa Rally, won by Yagiz Avci Fiesta R5, in front of Burak Cukurova’s Fabia R5. Piotr Fetela scored his third win in five Rally America championship events at the Sno*Drift Summer Rally, in Michigan, in his Ford Fiesta Proto. He had to retire from the previous round, the Colorado Rally, with gearbox problems.